15 years ago, choosing a domain name was as simple as picking a name you liked and buying it. 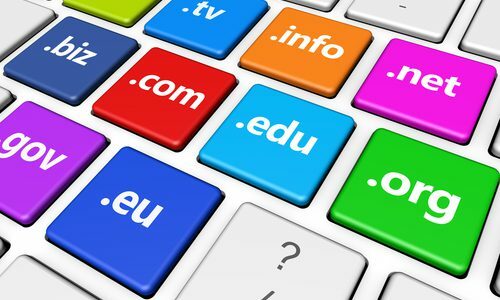 Today there are more than 1 billion websites and the pool of available domain names is ever dwindling. Then there's the issue of online marketing and the ability to choose a name that is easily marketable and search engine optimisation (SEO) friendly. Not sure what your domain name should be? Here's 3 simple tips to help you choose a marketable and SEO-friendly domain name. When brainstorming a domain name for your business, you'll either go for a brandable domain name or a keyword-rich name. What's the difference? Brandable domains - a domain that contains your business name instead of your industry keywords. For example, Facebook.com, Pepsi.com and Nestle.com are all brandable domains. Keyword-rich domains - are domains that contain one or more industry-related keywords. For example, SydneyRealEstate.com or SydneyCarInsurance.com are keyword-rich domain names. Keyword-rich domain names were often picked by businesses thinking they would rank higher in Google, and years ago that used to be true. However, Google over the years has adjusted its algorithm to give no ranking privilege to keyword-related domains, making them much less effective in today's online world. There's really no need choose a keyword-rich domain name unless the keyword is actually in your business name. Single-word brandable domains are always easier to market (discussed later in this article). ...if you're a local business or a professional startup in Australia. When to use .com.au - If your target market is located in Australia only, then stick to a com.au domain as it will rank better in nationwide searches. When to use .com - If your business is targeting a global audience then it's much better to use a .com domain. How many highly successful keyword-related domains can you think of? Again, it's why we strongly recommend local and new startups in Australia go with brandable over keyword-rich domains. If you need some inspiration, Business Insider have reviewed 13 of the hottest startups in 2015 - you'll notice that most of them use a single word in their domain.